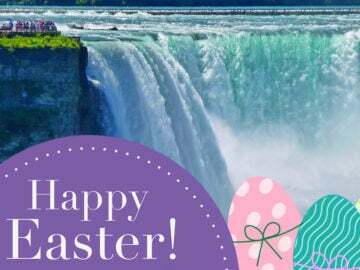 In honor of International Women’s Day, here are 5 incredible women that had a big influence on Niagara Falls history. 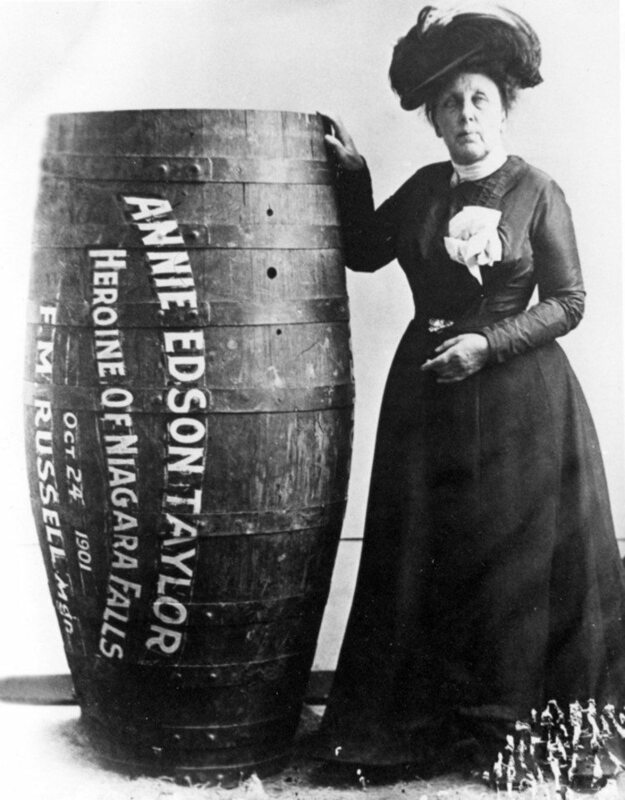 For her 63rd birthday on October 24th, 1901, Annie Taylor became the first person to successfully conquer the Niagara Falls in a barrel. 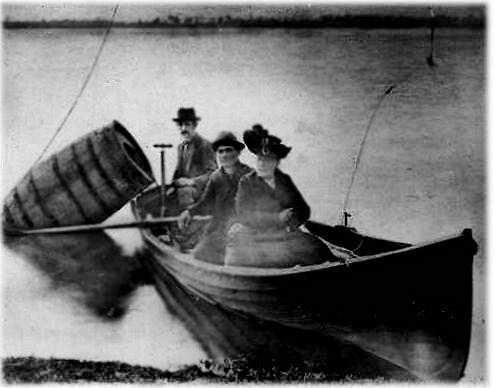 Taylor used a custom-made barrel for her trip, constructed of oak and iron and padded with a mattress. She was hoping to achieve fame and riches. She did assume fame for sure, but unfortunately she died in poverty on April 29, 1921 at the age of 82. Laura Secord was a Canadian heroine during the War of 1812. She is known for having walked 20 miles (32 km) out of American-occupied territory in 1813 to warn British forces of an impending American attack. 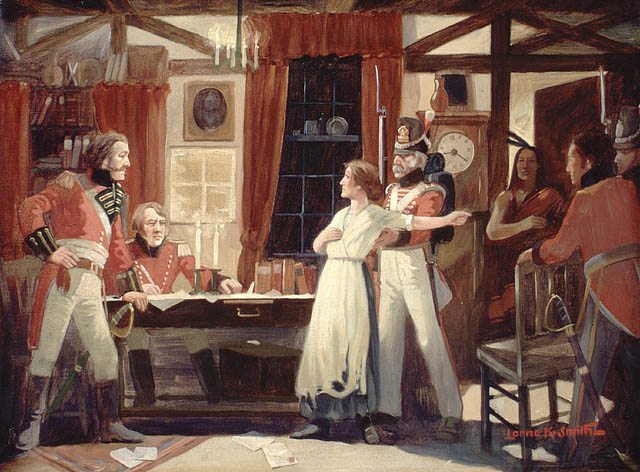 On June 21st, 1813, Laura Secord overheard of plans for a surprise American attack on British troops at Beaver Dams, which would have gained more American control in the Niagara region. As her husband was still recovering from his own war injuries, Secord set out herself early the next morning to warn the Lieutenant. She walked from present-day Queenston through St. Davids, Homer, Shipman’s Corners and Short Hills at the Niagara Escarpment before she arrived at the camp of allied Mohawk warriors who led her the rest of the way to the headquarters at the DeCew House. A small British force and a larger contingent of Mohawk warriors were then readied for the American attack. 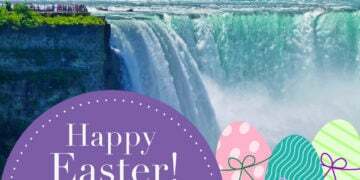 Have you ever wondered how the “Maid of the Mist” got its name? There’s a Native American Myth behind it. 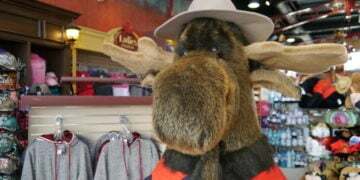 There are a few different variations, but one is that a young and suicidal Seneca Native girl, named Lelawala, entered a canoe with every intention of going over the Falls after the loss of her husband. 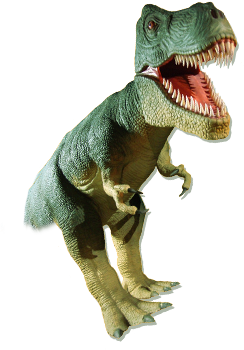 She was rescued by “Heno” the Thunder God, who invited her to live with him and his sons under the Falls. Under secrecy, the sons told her of a dangerous serpent that lived under the water. The serpent would poison the water in which her people drank from. 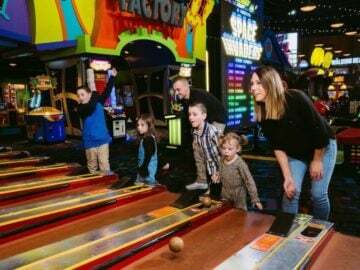 Anxiously, she returned to tell her people that they were to drink only from the springs and when the night of the serpent’s visit arrived, they were to destroy the god snake with spears, tomahawks, bows and arrows. They successfully battled the snake and upon returning to his lair in the river, the snake got his head caught on one side of the river and its tail got caught on the other side. 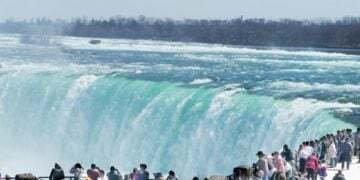 In its violent death throes, it formed a semi-circle in the shape of a horseshoe on the brink resulting in the Horseshoe Falls. 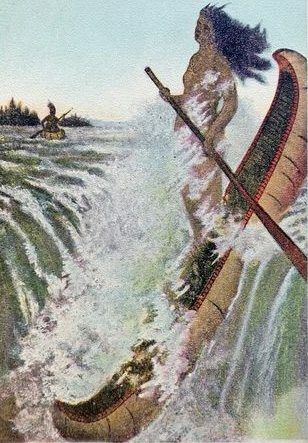 Lelawala returned to the cave of the God Heno, where she reigns to this day as the Maid of the Mist. 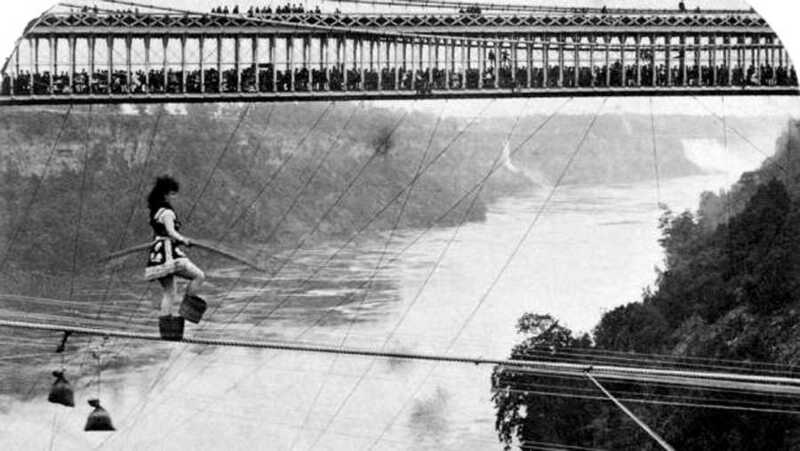 Maria Spelterini was a 23-year-old Italian tightrope walker who was and still is the only woman to cross the Niagara gorge on a tightrope, which she did on July 8, 1876 as part of a celebration of the U.S. Centennial. She crossed by using a 5.7 cm wire located just north of the lower suspension bridge. After the first success, Maria Spelterini began to up the ante. On July 12th 1876, Spelterini crossed wearing peach baskets strapped to her feet (see above photo). One week later, she crossed blind folded and only three days later, Spelterini crossed with her ankles and wrists handcuffed. 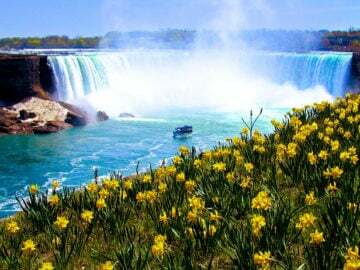 On July 26th 1876, Maria Spelterini made her farewell crossing in Niagara Falls. 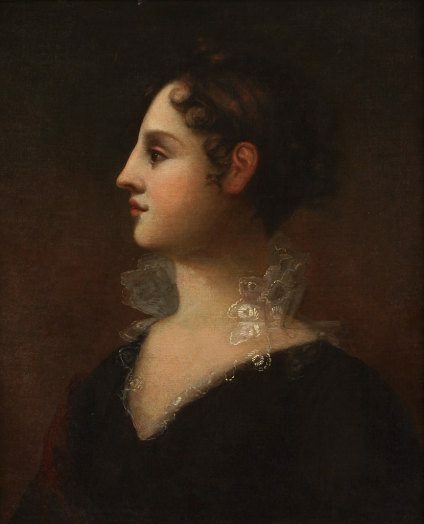 Theodosia Burr Alston was born on June 21, 1783, and was the daughter of US Vice President Aaron Burr. In 1801, she married Joseph Alston, a wealthy landowner from South Carolina.